There was a considerable amount of interest surrounding the title of Avengers 4, leading up to the big title reveal in the film’s first teaser. Part of that interest was due to comments from Marvel Studios president Kevin Feige, who confirmed in an interview in 2017 that the title to Avengers 4 was in fact a spoiler, which was why it hadn’t been revealed yet. During the development of Avengers 3 and 4, Marvel initially called them Avengers: Infinity War Part I and Avengers: Infinity War Part II, but subsequently changed their minds owing to their desire to make each film stand alone. 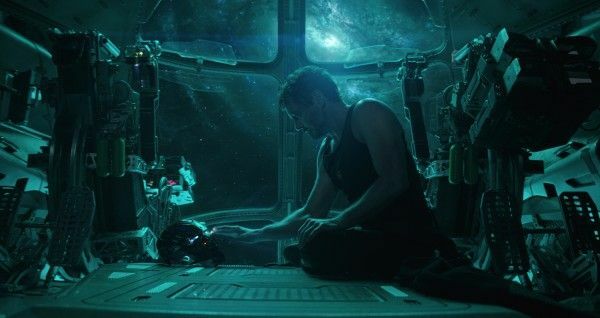 The title of Avengers 4 was kept under wraps long after Avengers: Infinity War hit theaters, and it wasn’t until the film’s first teaser that we learned its true name: Avengers: Endgame. Indeed, Feige and the Russo Brothers did spend a great deal of the buildup to Infinity War contending that that movie and Avengers 4 were separate, standalone films despite the fact that they were shot back-to-back. But when audiences saw Infinity War, it was clear that it was really just the first half of one big story. So Feige’s correct in noting that there really isn’t an ending to Infinity War so much as a stopping point (though I suppose one could argue since it’s from Thanos’ point of view, he completes his goal at the film’s conclusion), but I’m not necessarily sure that I’d agree that Endgame is a spoiler. Fans who pay close attention were aware that Infinity War was Part 1 of a two-part story, so obviously Avengers 4 would be wrapping things up. Then again, general audiences who aren’t scouring the internet for spoilers day-in and day-out weren’t entirely clear that Infinity War was a “Part 1”, thus the film’s ending had an even more substantial impact on them. Regardless of the title, fans are clamoring to see Avengers: Endgame to see, well, how it all ends. We’ll find out when the film hits theaters on April 26th. If you missed what Feige told us about the Eternals click here. Look for our full interview with Feige on Collider soon.